Le Chalet de la Douceur has been created in a former farmhouse surronded by mountain pasture in La Clusaz. This Chalet with its wonderful view on the Combe du Fernuy and the Massif de Balme, will be soon 5 stars rated. It is going to be the last one of the marvellous Chalets PVG. 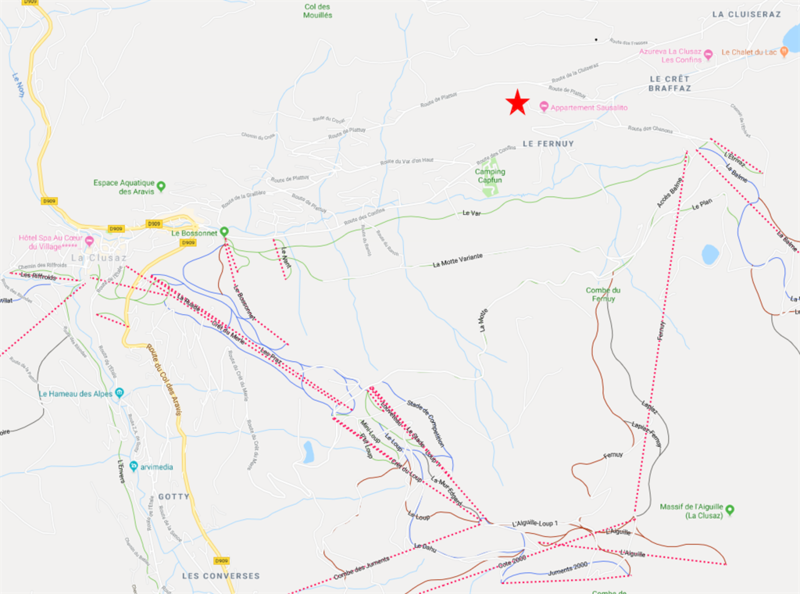 Le Chalet de la Douceur is at 3 minutes drive from the Balme's ski lifts (downhill skiing in La Clusaz). 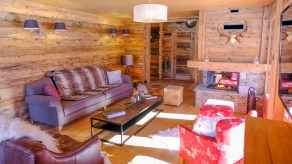 Le Chalet de la Douceur is also at 5 minutes drive from the Confins Valley (cross-country skiing in La Clusaz). 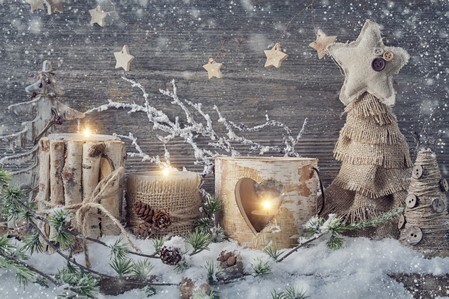 In the Chalet de la Douceur you will be surrounded by nature. You may be able to see wild animal such as alpin ibex. You will be moved by the peacefulness of the place. 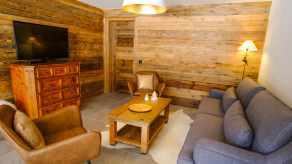 Le chalet de la Douceur includes 2 accomodations that can be combined into one if needed.